You have far too much time on your hands, might I suggest you go to church and repent. You should not be watching these indecent films or reading these trashy novels. I do not take kindly to foreigners insulting my Monarch by the way. Most of this so called evidence is propagated by demonic sites such as by Mr Icke who calls himself " god ". There is no hidden secret society messages In these films and books it is overt; debased consumerism, anti Christianity and rampant emotional immorality. Ah, Mr. Benjamin William Champley Waterhouse, it's been a long time. How have you been? It's been several years since we tangled with one another on the Paradosis Yahoo message board. You, along with the old-calendarist clerics with which you were associated, were defending and promoting Harry Potter back then, and now you feign some sort of righteous indignation, as if you are above such "indecent and trashy literature." If the pseudo-Orthodox wolves with which you associate, masquerading as Genuine Orthodox clergy, had not been actively promoting Harry Potter and other such demonic literature as good Christian reading, then there would not be a compelling need to investigate and expose this sort of demonic literature. I simply cannot fathom how senseless and stupid Orthodox Christians could be for listing hundreds of demonic television shows, movies, and novels as 'likes' on their Facebook pages. We witnessed the fruits of this right here on this message board, recently. There was a very active poster here who had a zealous passion for argument, and defending a certain ideological version of TOC history was his latest foray. Members of this forum were shocked when he apostatized and began attacking Genuine Orthodoxy. I, like everyone, was saddened and disappointed, but not surprised in the least. I privately warned people close to this individual that he was in danger of going off the rails. This individual had virtually every single demonic television show and film imaginable listed as a 'like' on his Facebook page. He loved to debate the finer points of theology and TOC history, but, sadly, he was lacking the most basic discernment to recognize that he was slandering and blaspheming the Faith among the Gentiles with his promotion of this satanic filth on his Facebook page. So God sent him away. There are some active and prominent posters here on E-Cafe who are in grave danger of the exact same thing happening to them if they do not start exercising the most basic discernment in these matters. No need to mention names, but there is a TOC clergyman who posts here, who last I checked, listed The Simpsons (animation show) as one of his likes on his Facebook page. This is a total disgrace, and he ought to be ashamed of himself. This is a vile, blasphemous, and satanic show, produced by murderers and the enemies of God. There is a prominent poster here, who posts more frequently than I do, who likes Harry Potter on his Facebook page. He will not be saved, if he does not repent of this and he continues down this path. Harry Potter is the most vile, blasphemous, and satanic literature, produced by a secret society of genocidal murderers, and enemies of God. Any Orthodox Christian who is so stupid and senseless as to not be able to recognize something so basic, will not be saved. The Orthodox Church has never blessed actors or the stage, but has resoundingly railed against it; Hollywood and the entertainment industry is obviously run by devils (only lovers of this world cannot recognize this), and so Orthodox Christians should be ashamed when they broadcast their sins to the world, saying they like Harry Potter, or some heavy metal band, or some indecent television program, or novel on their social media pages. How hypocritical of you to assert that: "there are no hidden secret society messages in these films and books..."
How would you know? You feign righteousness, implying you are above indulging in this sort of material. How are you in a position to know what is or is not hidden in this material, if you totally abstain from reading or viewing it? So which is it? Do you partake of this type of trashy and indecent demonic literature or not? If not, then don't presume to tell us what is or is not hidden in it. If you do partake of these types of entertainments, then practice what you preach, and go to church and repent. Do your bishops have so much time on their hands that they have time to write treatises defending the Harry Potter novels? Do you rebuke them and admonish them to go to church and repent? If not, why not? Your monarch, the queen, is an offense to the Monarch of monarchs, Jesus Christ. 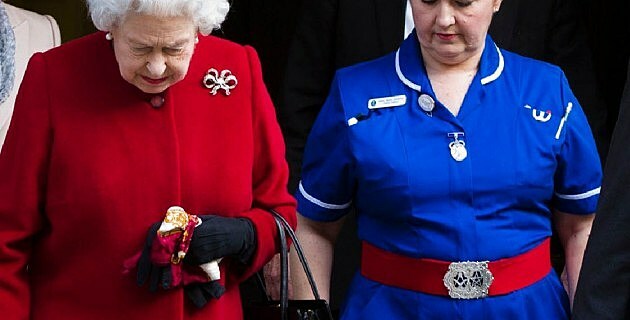 Why is the queen purposefully photographed alongside her nurse, who is wearing prominent masonic regalia on her belt? The queen's cousin, Prince Edward, Duke of Kent, is the Grand Master of the United Grand Lodge of England. Silence means consent. When and where has the queen ever denounced Freemasonry? Why is the queen photographed alongside her nurse, who is wearing such a blatant advertisement of her masonic allegiance? If the queen of England opposes satanic Freemasonry, then why does she sit next to her first cousin, the Duke of Kent, Grand Master of the Lodge of England, at a Wimbledon tennis match? The queen is not required to do any such thing. It is her free choice whether or not to sit with him. That figure on the left in the picture above is SO terrifying, I cannot LOOK at him ! Ew, how could anyone stand to sit next to him, let alone SMILE and look like she is enjoying his company - ?! Well Cyprian, you have done a great deed again : you cut through all the stupid normal chitchat of today's empty minds and bravely exposed a terrible flaw in our Orthodox world. I had NO idea that True Orthodox Christians would remotely consider putting these sick things on their social media accounts, or whatever they are called. Why on earth would they profess themselves as Orthodox while flaunting a "like" of some foul productions of modern day entertainment in various forms you named : books, films, the H.P. books [I cannot say that dreadful book title out loud, or write it !]. The two : Orthodoxy and any sort of band whatsoever, or play or modern movie are completely incompatible. This is a BIG discovery you made which makes us fearful for the type of people who are joining or professing to adhere to True Orthodoxy. You wrote : " There is a prominent poster here, who posts more frequently than I do, who likes Harry Potter on his Facebook page. He will not be saved, if he does not repent of this and he continues down this path." cut oneself off from running with the crowd. We are all exhorted to be wiser and fight the inner spiritual battle against devils. That latter is impossible when one is eagerly consuming and absorbing the productions of the same devils through the eyes and ears ! Even more shocking is the stamp of approval that an actual hierarch put on this hateful series. It's painful to even contemplate that this could have taken place. You are fearless to mention this distasteful fact. Truth is truth. So may God reward you, Cyprian!!! Harry Potter and the Cursed Child is an upcoming West End stage play written by Jack Thorne based on a story by J. K. Rowling, Jack Thorne and John Tiffany, and featuring Harry Potter as the titular hero. Slated to open in the summer of 2016 at the Palace Theatre, London, England, Rowling is collaborating with an experienced team to bring the production to the stage. Recall, Jack is short for Jackal, and Thorn is the surname of the Antichrist Damien in The Omen series of films. It is not a coincidence that Jack Thorne is selected to play the role of front-author for this Masonic production. Jack Thorne's date of birth is listed as 6.12.78. Notice this totals 9/15 Prince Harry's birthday. (6+1+2) = 9 and (7+8) = 15. Not unlike how the (alleged) Apollo 11 moon landing of 7.20.69 also totals 9/15 Prince Harry, since the Apollo mission to the moon was all about "Wonder Woman" Diana, who brings forth the man-child, who was to rule all nations with a rod of iron, the pretended virgin triple-crescent moon goddess, also the twin sister of Apollo, and her son Prince Harry. The attacks of September 11, all these ritually staged crescent moon shooting/bombing attacks, as well as the Chernobyl and Chelyabinsk Wormwood/Lucifer "star falling from heaven" rituals, the hurricanes such as Katrina (Dormition of Theotokos) and Rita (which made landfall on the Theotokos' birthday, September 8/21), and many more attacks are all carried out by worldwide Masonry for Antichrist and his mother, the pretended virgin. 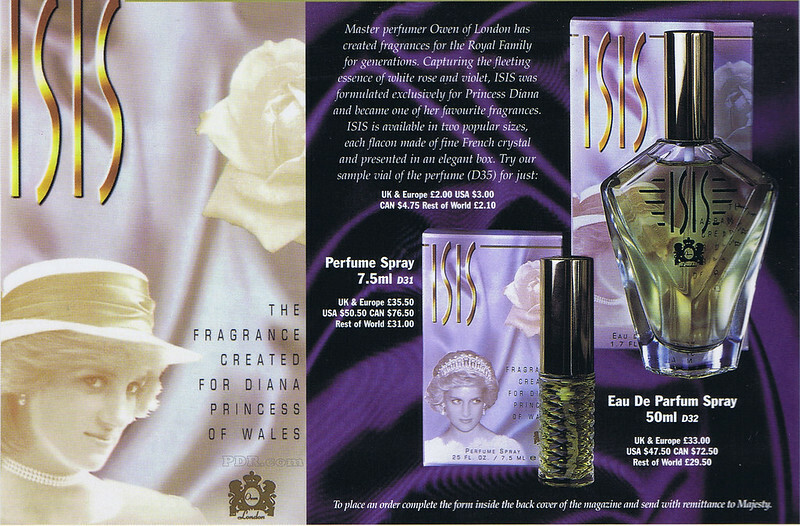 All this Zionist ISIS propaganda in the press is also all about Princess Diana (a.k.a. Isis: Queen of Egypt), her son Horus (Prince Harry) and attacks connected with the "tears of Isis" flooding the Nile (personified by her lost husband Osiris), drowning the Egyptians in the sea. It should be noted that Isis is also another name for the River Thames in southern England. The Zionists' plan to foist all this orchestrated ISIS terror propaganda on the world was all revealed ahead of time with The Da Vinci Code, which also reveals the Illuminati's plans to install their agent Pope Francis many years before the public had ever heard of him either. It's all hidden in the demonic The Da Vinci Code productions, starring "Orthodox Christian" Tom Hanks. Ha, you have trained me well ! I immediately correlated the Thorne name with the Damien character and all the other sinister connections ! The advertisement actually made me feel SICK to my stomach when I glanced at it. I didn't really want to read the writing, which is a tip, too, that the item is manufactured by evil. Isn't that blatant, the use of the Egyptian goddess' name to popularize subconsciously the correlation with Diana ? the minds of billions of people who have become highly susceptible due to indulging in the things made "popular" by the same exact bad people. Books, movies like the title you mentioned here. I would never consider looking at either of those formats of what was obviously something written to put a hidden code into the mass consciousness ! That way, the general public will accept almost anything from this same source whom you mention appropriately as "ill". Exceedingly so !!! I had forgotten - if I knew - about the timing of Katrina on Dormition. Well would you say that Diana was a devilish creation deliberately to oppose the Mother of God ? And take away all respect from the Heavenly Queen by the general public and transfer that to a flesh and blood girl who had really almost nothing out of the ordinary to offer when she was "discovered" ? It sounds like that especially when you have characterized her as a "pretended" virgin. Was Diana not very chaste before marriage, it was later learned ? What about after her marriage ? I didn't know whether to give any credit to tales of her supposed affairs to get back at Charles for not loving her or not paying attention to her. That was my vague impression of the situation. What do you think ? Side note : is Prince Charles set to inherit the throne at this point ? Or it will go to his elder son ? I thought he had been disinherited but I guess he is really going to take it over when QE II finally steps down or hands it over ? Will she do that or not let it go until her death ? It's not something I have spent any time worrying about. Shouldn't I be concerned rather about this rogue Harry ? Cyprian, this is one of the usual totally empty articles produced by the general media today. But do you have anything to say analytically regarding this ? Text of article mentions new beard of Harry. Pictures do not show it. Also what do you think of him being so interested in rhinoceruses et al., and apparently, from a quick glance over the short blurb, conserving African wildlife species ? I would assume this "celebrity" profile is to induce others to follow the vacuous movement which goes under the innocuous banner of "Green". Never forget, it was the Green Party under Petra Kelly [a German] who were the most vocal [read : obnoxious !] about opposing US missiles in Europe to counter Soviet military buildup. I always say that I think there is a link, since both were no doubt ultimately sponsored by the SAME sources. Different wings, but same central command. You know which one that is ! The Green Party was maybe a "phony opposition group" controlled by the same henchmen.